This fun class explores the ever versatile Creative Grids Half Square 4-in-1 Triangle Ruler. 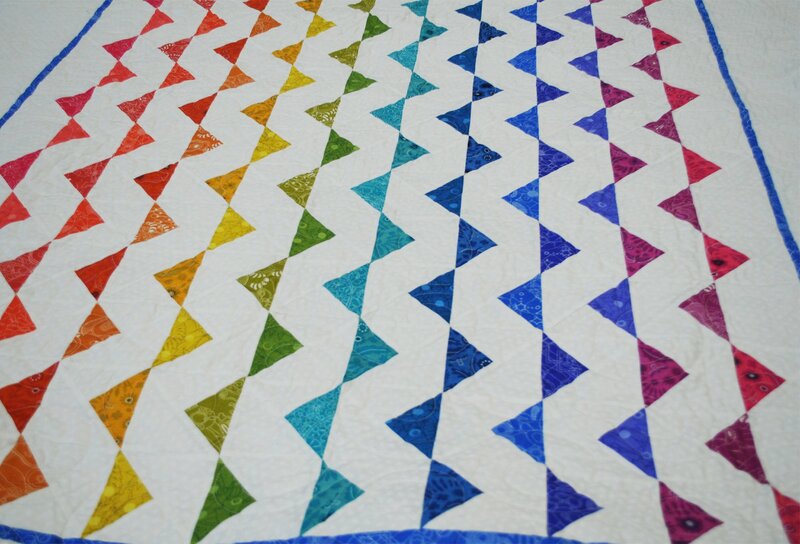 Learn to create this 'Wave' quilt with the bright colors of the rainbow. Class instructor will share fun tips and tricks to cutting and sewing this new technique. Gigi Allred has been with The Quilter's Lodge for three years and loves the quilting world and those she works with. She began sewing when, as a small child, she begged her mother to teach her to sew. Her first quilt was begun on her ninth birthday when, for her gift, her grandma came and helped her begin a Sunbonnet Sue quilt. 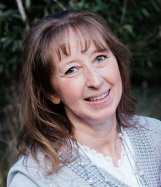 She has loved quilting since and enjoys learning and sharing new ways, styles and techniques to use in quilting.